We welcome both novice and experienced transcribers to adapt our transcribing and editing style guide to their needs. Since 1970, editors at the Institute for Oral History have developed these guidelines for transcribing oral history interview recordings. No transcript captures the whole essence of a recorded exchange between interviewer and interviewee. We encourage serious researchers to listen to the audio recordings to experience a closer approximation of what transpired in the interview. Nevertheless, the transcript provides a useful format to access information of historical interest covered in an interview. 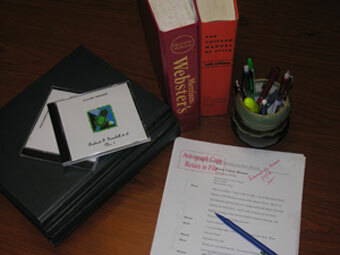 Various editors, including the interviewee and interviewer, may manipulate transcripts before they are made available to researchers in an archives or library. Accuracy in creating the first draft transcript is therefore very important to the final edited outcome. The style guide provides rules for spelling and punctuation useful in converting speech to written language and deals with elements common to the interview setting, including false starts, breaks in thought, interruptions, nonverbal sounds, and unintelligible speech. Enter the manual by clicking on the title in the box to the right.